Is an insurer precluded from pursuing a subrogated action if the insured settles its uninsured loss with the third party and signs a general release? This question was answered by the Ontario court in Busgos v. Khamis,1 a decision of which subrogating insurers should be aware. Following a fire loss at the insured’s property, Wawanesa Mutual Insurance Co. (“Wawanesa”) brought a subrogated action in the name of its insured, Alex Busgos (“Busgos”). At the time, Busgos was leasing a property he owned to Firoz Khamis (“Khamis”). Khamis admitted to causing the fire at the property. Wawanesa indemnified Busgos for his insured losses. Busgos had also suffered an uninsured loss of $1,768.23, which was comprised of loss rent and his deductible. One month before Busgos signed the release, Wawanesa wrote to Khamis’s lawyer putting Khamis on notice of the loss. Before receiving the notice letter, Khamis’s lawyer had indicated that he would be satisfied with a receipt and an acknowledgement by Busgos that the lease was terminated. However, after receiving the letter, the lawyer asked for a general release. Wawanesa pursued its subrogated action to trial. Finding in favour of Wawanesa, the court stated that if a third party has notice that the insurer has been subrogated to the claim of the insured, a release given by the insured thereafter is ineffective against the insurer. Since Khamis, through his lawyer, had notice of Wawanesa’s subrogated claim, Khamis could not shield himself from liability by relying on the terms of the release. The Busgos decision is not without controversy as there is case law which supports the proposition that the insurer’s remedy in this circumstance should be against the insured for prejudicing the insurer’s subrogated action.2 In my opinion, the decision in Busgos is a sensible result as it condemns the wrongdoer from attempting to commit what would otherwise be considered a fraud on the insurer. 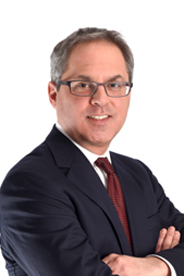 If you have any questions about the article, please do not hesitate to contact Mark Mason at Mason Caplan Roti LLP.